Home / Shop / Lamp and Lighting Collections / Arts & Crafts Lighting - Art Pottery Lamps / Cedar Waxwings Bird Lamp & Colorful Mica Lampshade, "Morning Meadow"
“Cedar Waxwing” Lonesomeville pottery lamp with a bent mica lampshade by Carmen Nunez that is decorated with bright summer colors and lively green foliage. 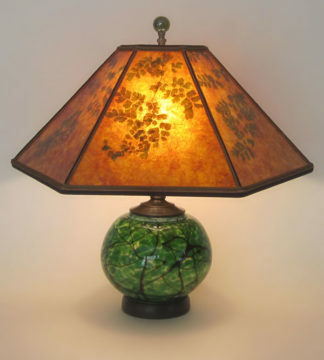 This curved mica lampshade by Carmen Nunez is decorated with bright summer colors and lively green foliage. 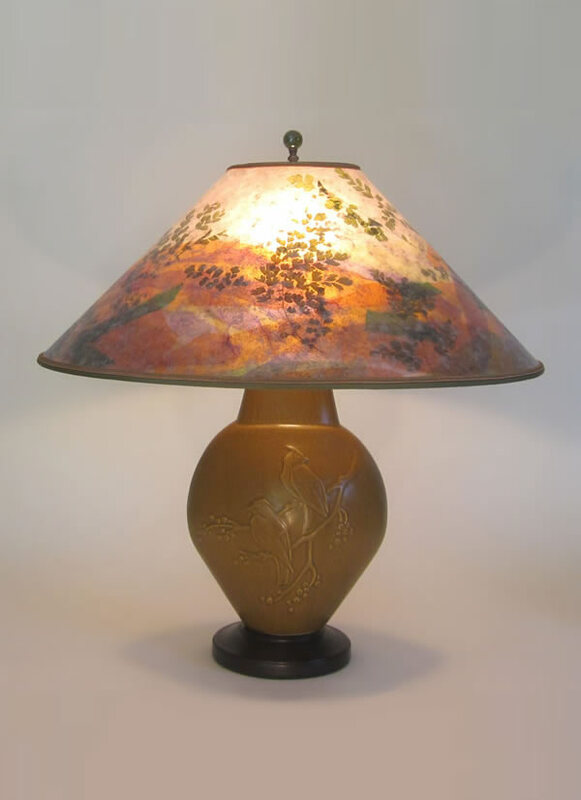 It pairs beautifully with the gold of the Lonesomeville “Cedar Waxwing” bird lamp shown here. 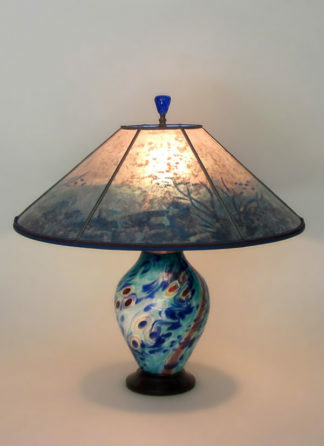 The 24” wide shade is made from a single large piece of mica. 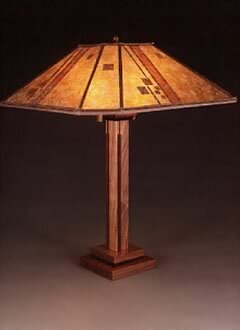 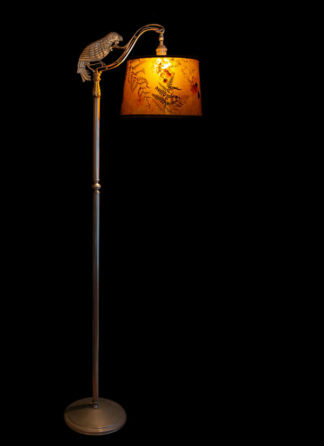 This is a large lamp, with an “elegant-rustic” feel. 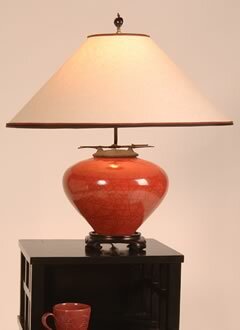 It perfect as an end table lamp, casting a wide pool of light.